"The Breaker Anointing - A Holy Invasion where Eternity Breaks Through"
"Requirements For 'Breaking Open Territory' in the Spirit"
Micah 2:13 - The one who breaks open will come up before them; they will break out, pass through the gate, and go out by it; their king will pass before them, with the Lord at their head. What does it take for heaven to invade earth? It takes a breaker anointing! One of God's names in the Bible actually is the "Breaker." A breaker anointing is a catalytic deposit of the Holy Spirit where eternity breaks through into the natural realm. It is a holy invasion where the gates of heaven are opened! This type of anointing will break through every obstacle and hindrance to the furtherance of the Gospel. It shakes every shackle loose that holds individuals and the Church back from coming into their destiny and inheritance. Jesus promises that "the Kingdom suffers violence and the violent take it by force." The breaker anointing is the core anointing of the apostolic church for advancement. Today there is tremendous warfare at the gates of our cities; there is a contesting at these gates to shut down the supernatural. Demonic forces often control the entry way of God's presence. For example, you may feel a tangible heaviness, a ceiling or oppression in a service. It takes a breaker anointing to open up the spiritual atmosphere so heaven can invade earth. When the breaker anointing occupies an area, individuals, churches, socio-political structures, and belief systems are revolutionized. The Breaker must come if we are to see the transformation of our cities. A Fifty Mile Radius of Glory! Let me offer you one of my favorite examples of one who carried this anointing. Maria-Woodworth Etter was a healing evangelist in this past century. She was such a friend of Holy Spirit (as you are learning to be) that for fifty miles around her, the glory of the Lord would cover that region. A glory cloud with a fifty mile radius surrounded her with signs and wonders following! Do you want a breaker anointing? Do you want the fullness of the Holy Spirit? The Lord wants to once again manifest Himself as The Breaker. Get ready! Cry out for this anointing! Prayer: Lord, I am going to press into this because I am hungry for all of You. What I have is good, but it is not enough. I want my life to carry a breaker anointing. I want my life to break out to touch people who are suffering so that they can experience breakthroughs in their own lives.. I want to contend at my city gates and bring heaven to earth! Speakers include Jill Austin, Frances White, Jackie Watkins, Sherry Thornton, and Vickie Boyson. "The Wildness of God: A Trumpet Call for the Joel 2 Army!" Speakers: Jill Austin, Heidi Baker, Stacey Campbell, Steve Carpenter, Melody Green, Jennifer Miller and Carol Koch. Worship with Heather Clark (Canada) and other IHOP bands. Please visit the "Conferences" section of our website for more information or to register for this conference. Journey with Beloved through the snow-covered Perilous Pass toward the Formidable Mountain Range under the ever-watchful eye of Master Potter. Aided by Holy Spirit and the angelic hosts, Beloved and her friends press on to the Mountain of Fire. As Jill Austin's second book, Master Potter and the Mountain of Fire hit the shelves October 1st; we wanted to extend to you - our family of supporters - a foretaste of all that awaits you! Here is a sampling from different ministers who have read and endorsed Jill's book. Please don't take our word for the quality of this allegory! 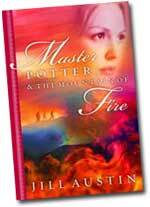 Rather, buy your own copy of Master Potter and the Mountain of Fire today! 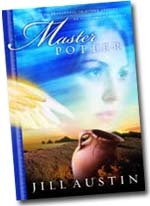 Master Potter tells the story of Beloved - wounded and left vulnerable by an abused childhood, she is rescued by Master Potter. Whisked away to his rustic home overlooking the quaint village of Comfort Cove, Beloved begins her painful journey of healing. Master Potter is a powerful Christian allegory for all ages with the potential to become a Christian classic along the lines of Hannah Hurnard's Hinds' Feet on High Places and John Bunyan's Pilgrim's Progress. "Confronting the Deaf and Dumb Spirit"
BOLIVIA: "With Incredible Mercy I Will Embrace You"
"We Will All Share In the Spoils Of Victory!!!" "Jesus Is About To Step Into Some Unusual Boats"